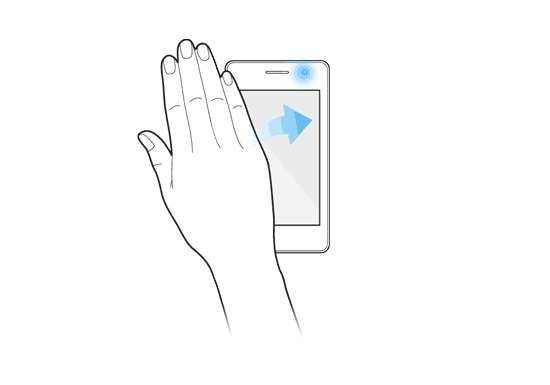 Air Gestures can be termed of One of the best innovation in the World of Smartphone.Using the Samsung Galaxy S4,It was on top one of the cool features ,with the ability to perform action based on your gestures without touching the screen is Quite a Thing! But it was limited by Samsung and was not passed down to previous Flagships.Air Gestures perform a slew of Actions from Answering a Call to Sliding through Your Gallery just via Gestures. It was a Magnificent addition to Touchwiz. But being limited to Samsung Galaxy S4 and Touchwiz,it generated a Negative Feedback from the buyers of Old Galaxy Flagships but not for long.A Senior member from XDA named “forgin” came up with an App called Hovering Controls using proximity sensors breaking the limitations and bringing them down to every Android Phone possible with Android 2.2 or Higher. The App UI is Sleek and Easy to follow,upon opening you land on main app Menu that controls the very Functioning of the App ,from here you can turn OFF all Gesture Actions in few Clicks.From there you can enter the Advanced Settings Menu,used for activating and deactivating specific gestures and settings. As you enter settings menu,you can utilize a Plethora of Actions that can be used. Some are still in beta ,some work Wonderful! Like the Music controls Next/Play/Previous/Stop and adding to the brilliance it also works with your screen off.Notable Features include the QuickGlance from Galaxy S4.The Other Settings Should be Self-Explanatory I assume. For those who have rooted their Android Phone,can utilize some extra function that are not available to Non-Rooted Devices.These functions include Camera Autoshoot,Browser Navigation and last but not the least Gallery Sliding Gestures. You can also do a Full sensor test and to fine tune the shake sensibility.